Nathaniel Ray Crockett has been dead for years. Sort of. 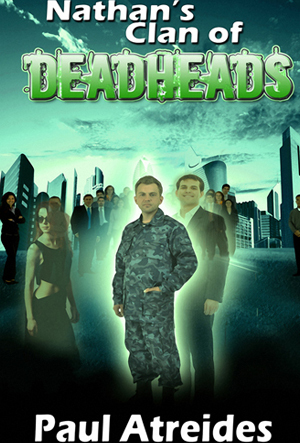 He’s one of the ‘Deadheads’—spirits who exist in an alternate reality. After a bizarre accident, Nathan discovers a way to inhabit the bodies of the living and shares the secret with others–a big no-no in the after-life. Just when he finds the love and family he’s searched for during his long, long existence, the World Council of Keepers decides to impose their oh-so-bothersome rules. Nathan is forced to defend his way of life, or lose everything. Can a ghost from the hills of West Virginia, with a ninth-grade education, outwit the World Council of Keepers?